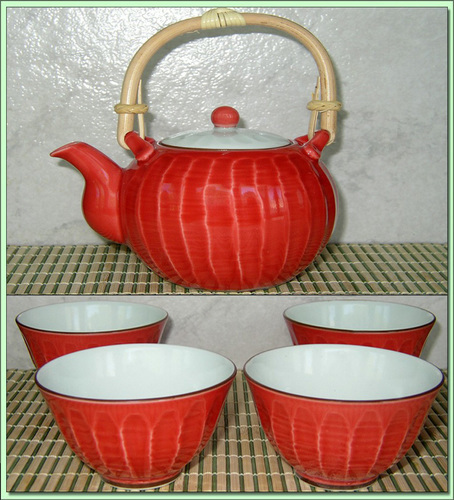 For those who like a bit of standout color and Western flavor with their sets, this 4 cup set combines an English style pit with bamboo handle and cups in a more Asian form. Featuring kago-ami filter. Teapot is 16oz. / 500ml. Cups are 4oz. / 150ml.